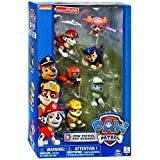 This is the only pack to find all your favorite characters including: Marshall, Zuma, Skye, Rocky and Rubble! 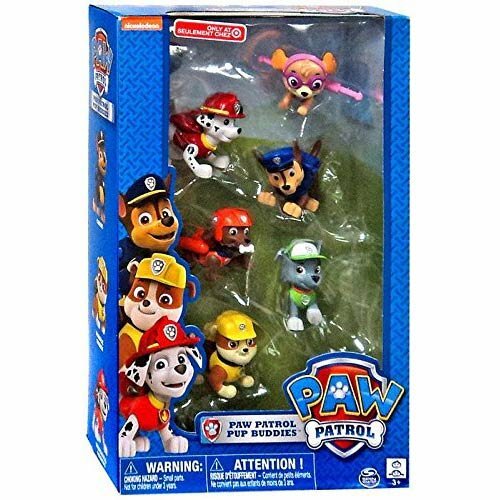 The Paw Patrol Pup Buddies set comes to the rescue of Paw Patrol fans ages 3+. No job is too big and no pup is too small! Now you can reenact rescue scenes with all 6 Paw Patrol Pups! All of your favorite Paw Patrol characters are ready to save the day. Recreate your favorite Paw Patrol adventures with this Exclusive Paw Patrol Pup Buddies Set!! !